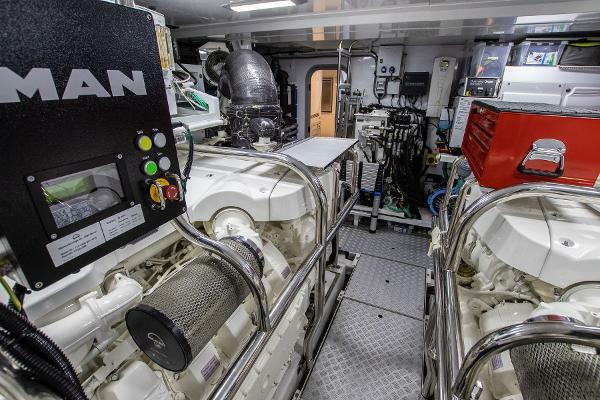 Twin Man V12 1800 (2 x 1800hp) diesel engines • White hull • Walnut interior wood satin • Premium interior and exterior upholstery • Upgraded Sleipner Vector Fin Stabilisation • 27kW + 22.5kW Onan generators • Hydraulic bow and stern thruster • Hydraulic anchor winch • Teak decks • Electric opening GRP flybridge hard top • FLIR night vision camera • Third station controls in cockpit • Underwater transom lights • freshwater maker • Ice-maker • Underfloor heating in all bathrooms • Harmon Kardon premium audio system • Raymarine GS165 chartplotter • Humphree FULL trim system • Bespoke galley and mess with fold away table to crew area • Raymarine Fishfinder • JL speaker upgrade to exterior areas. 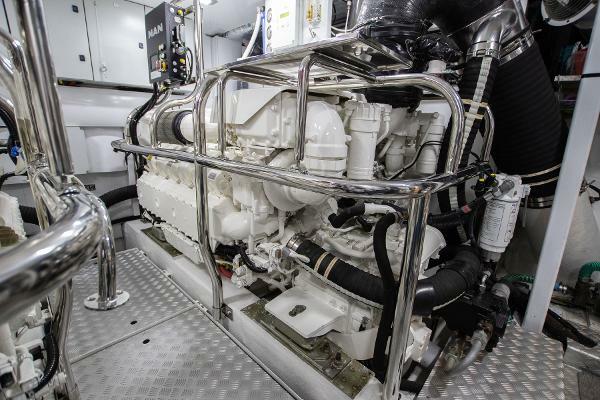 126,000 Btu chilled water system with outlets in all accommodation areas and incorporating reverse cycle heating with linked windscreen demist system. 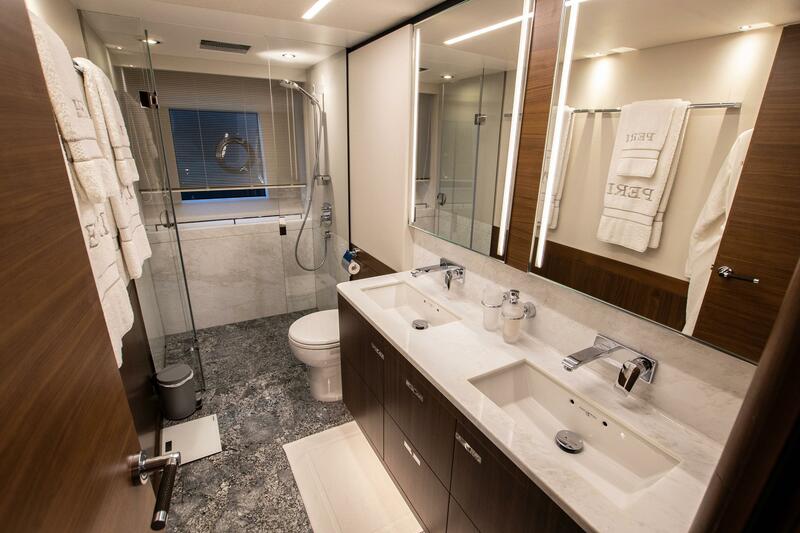 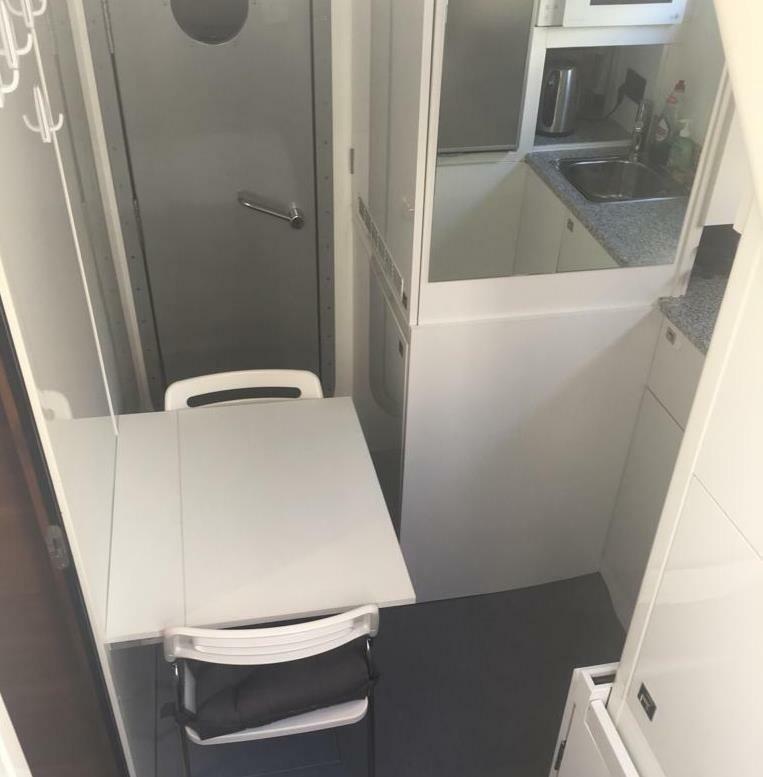 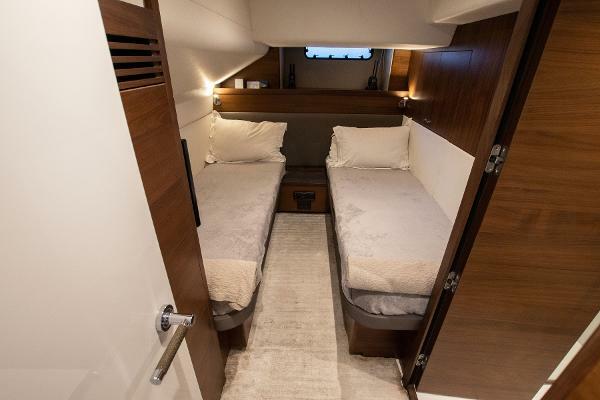 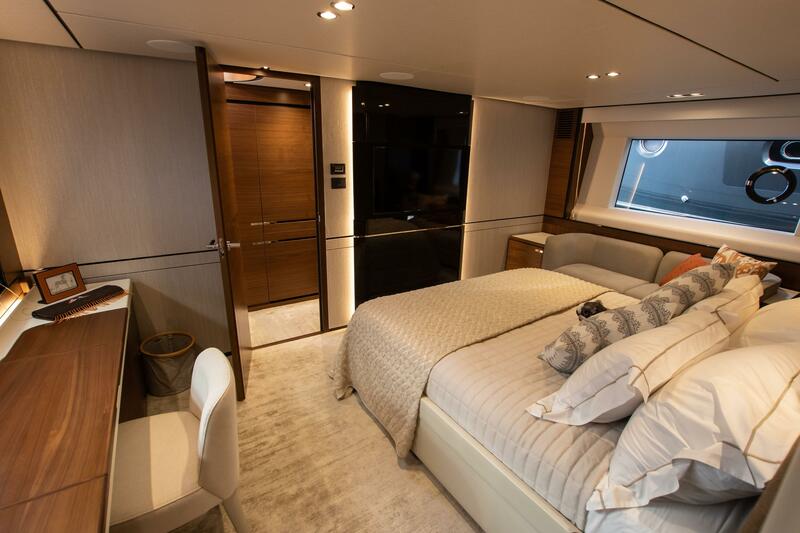 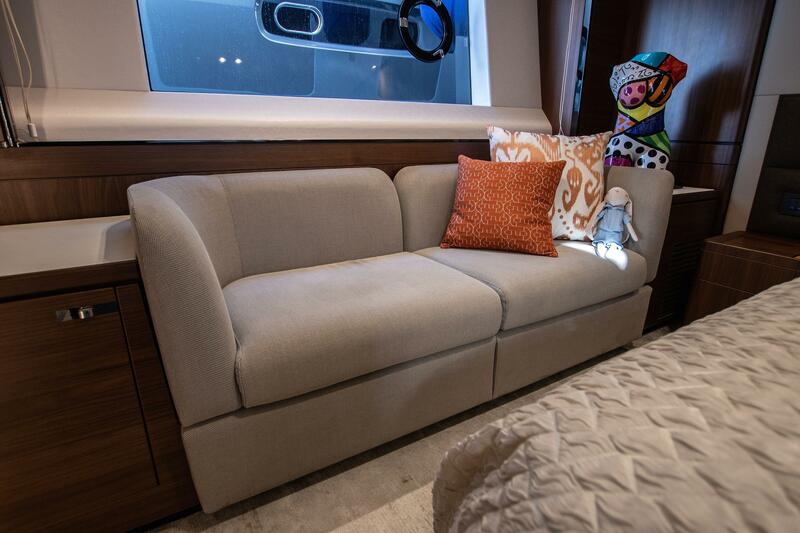 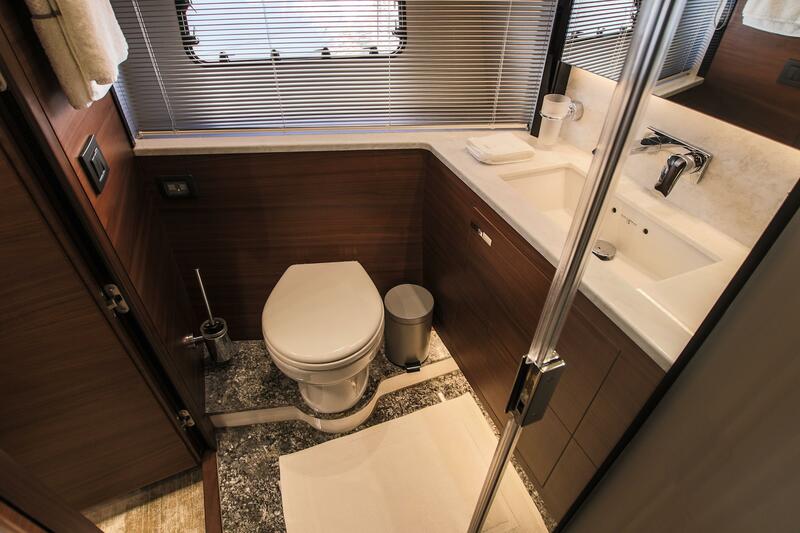 Crew cabin with two berths and ensuite. 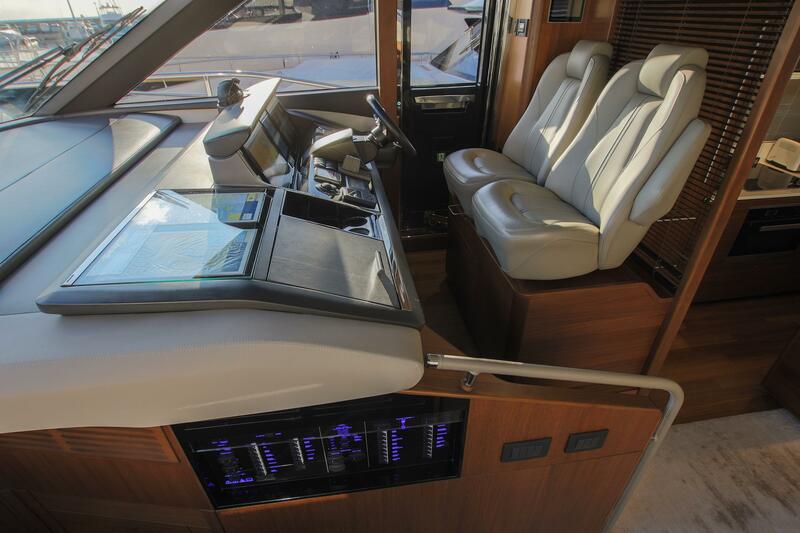 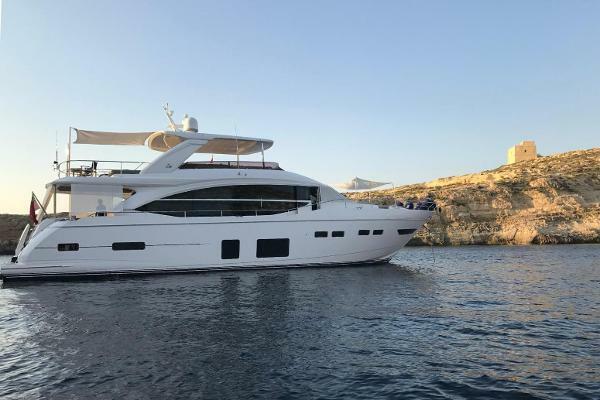 Presented in extraordinary condition having been maintained by a full time captain, this is undoubtedly the finest pre-owned Princess 75 on the market today. 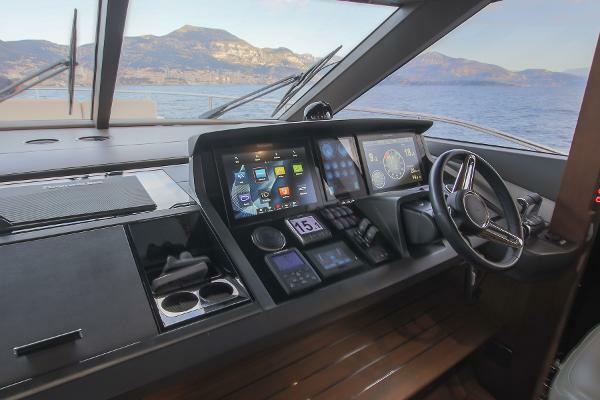 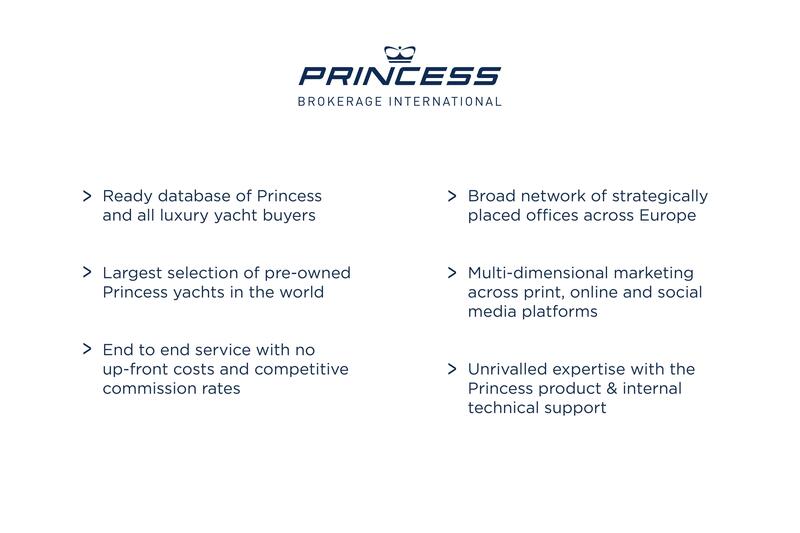 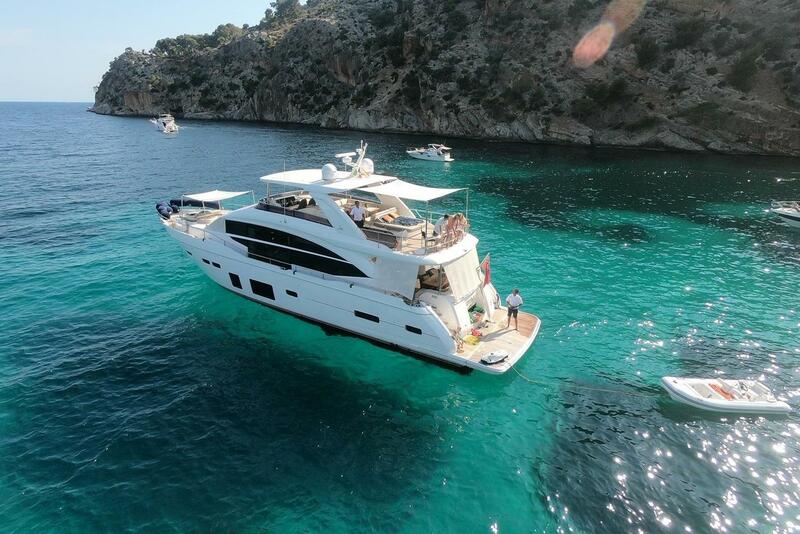 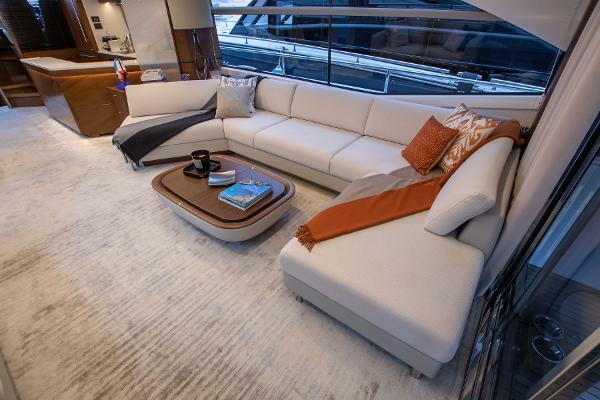 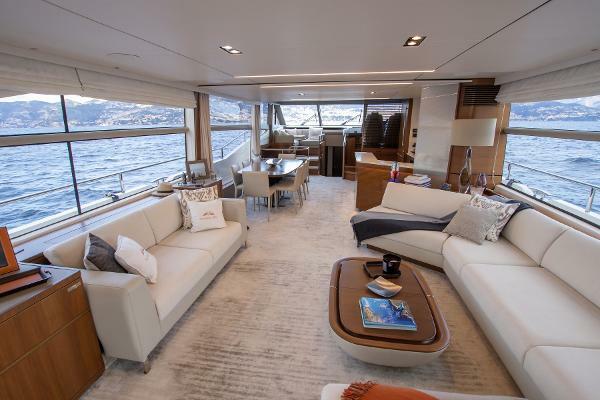 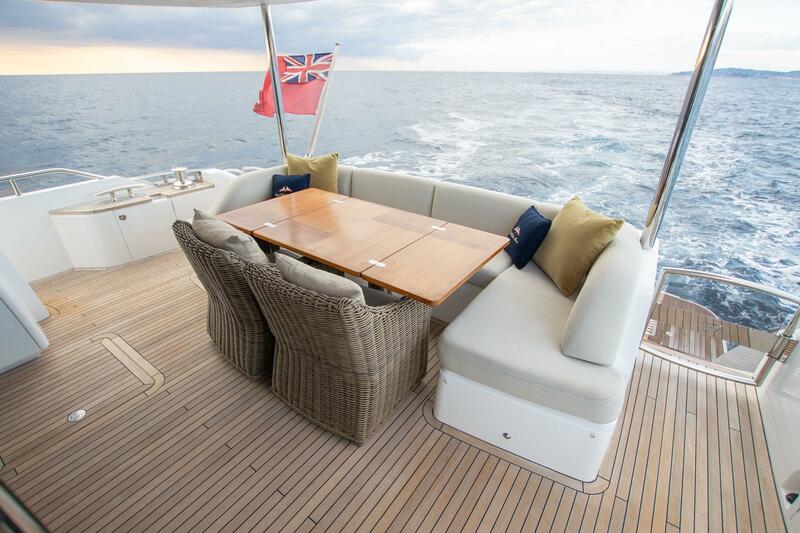 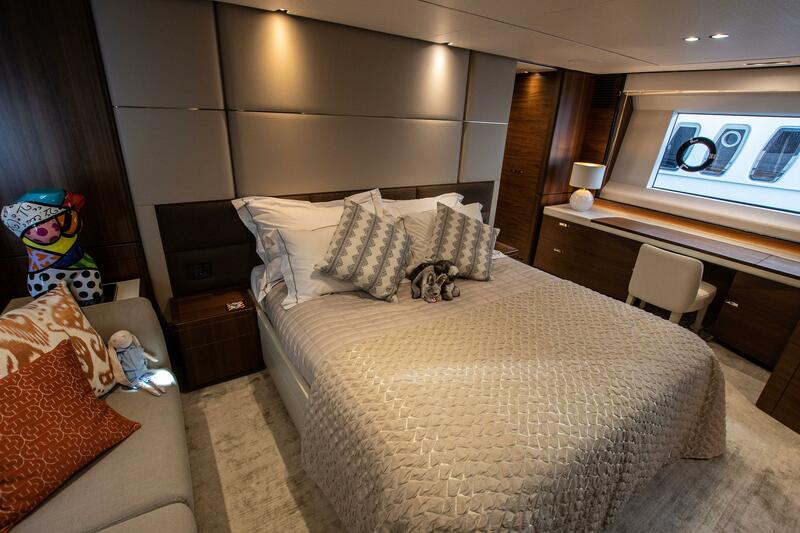 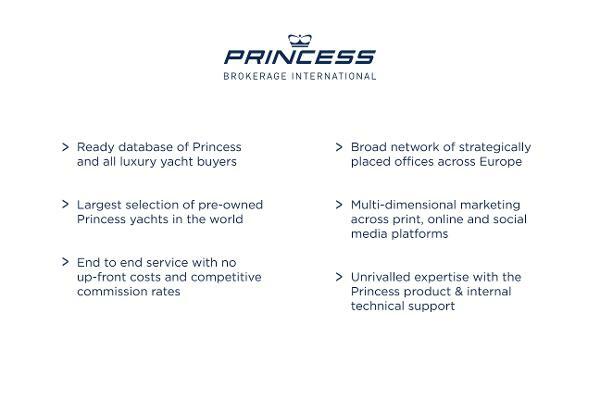 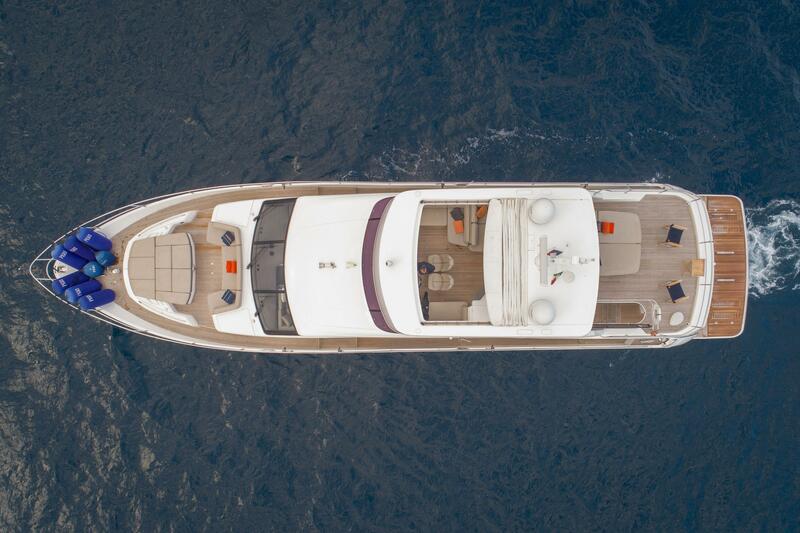 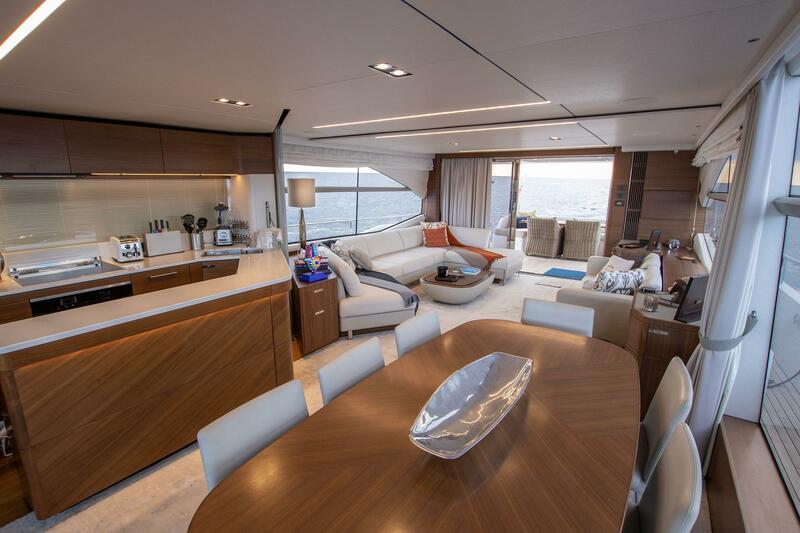 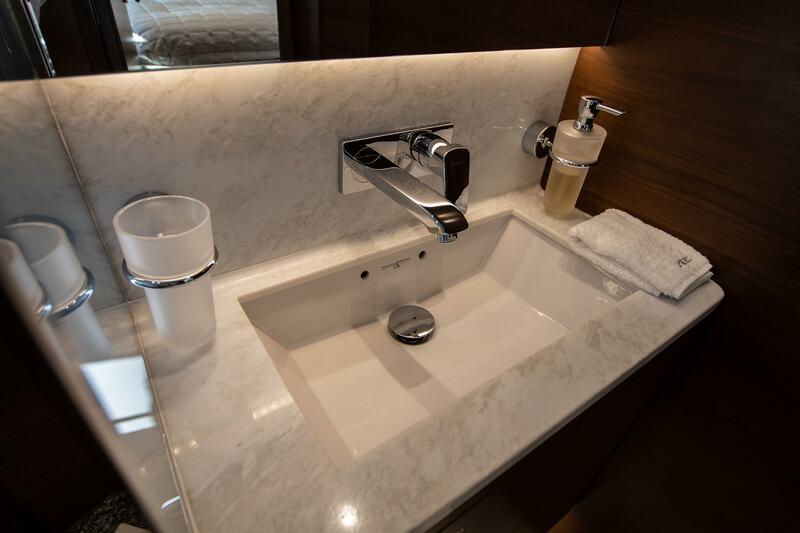 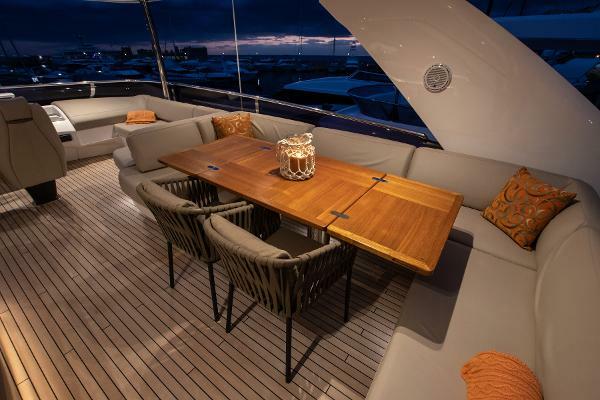 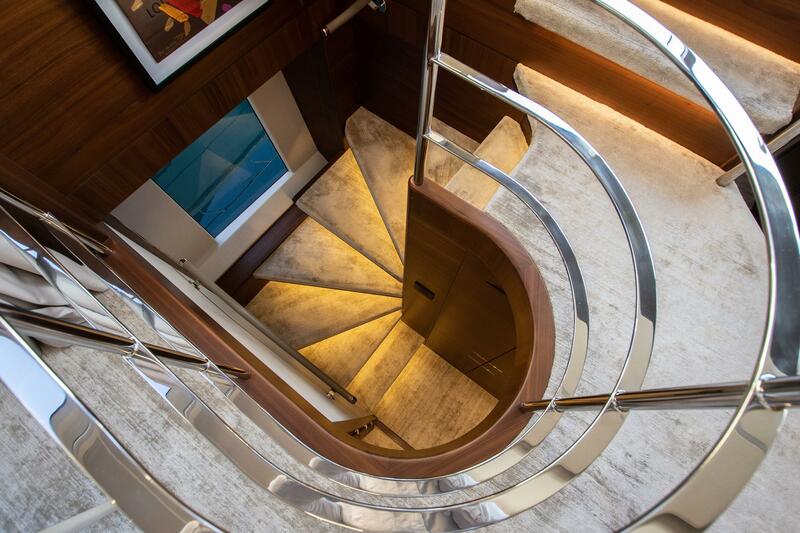 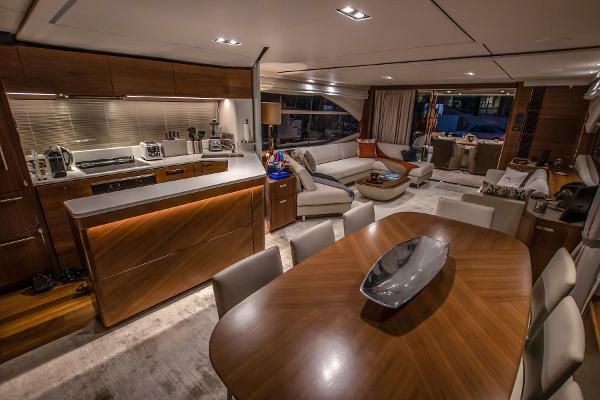 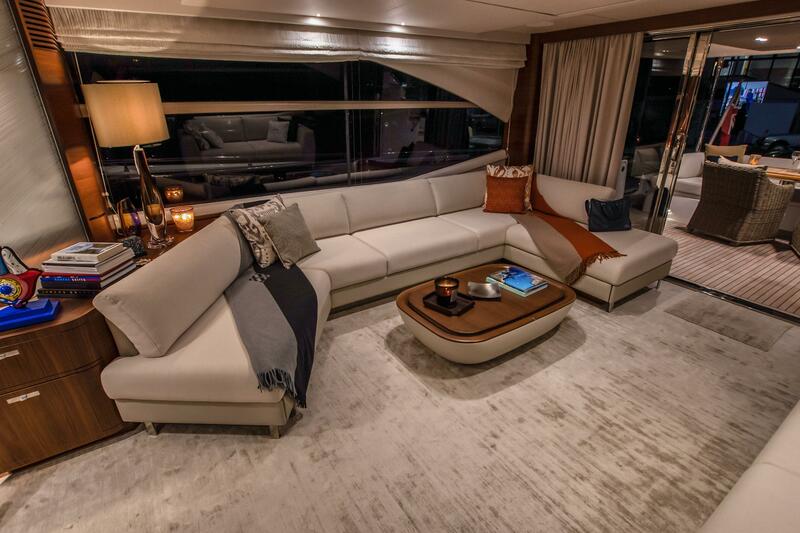 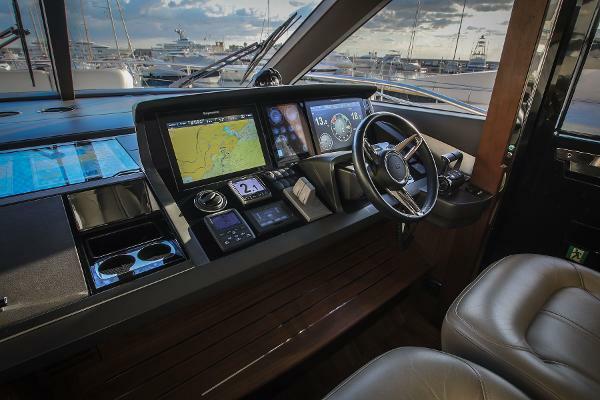 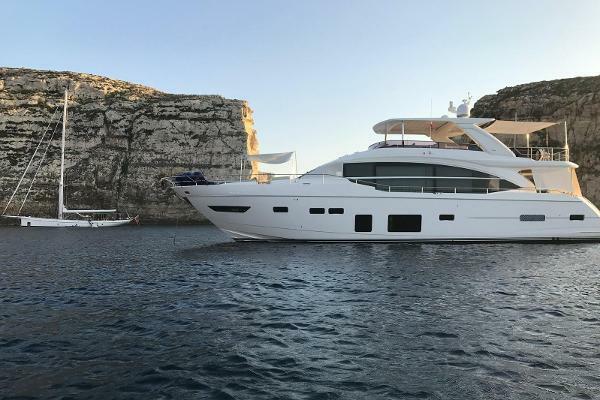 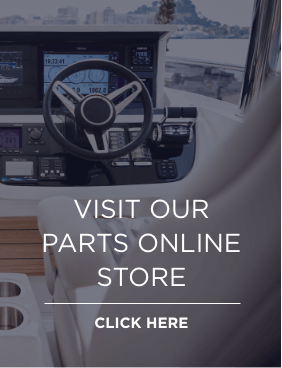 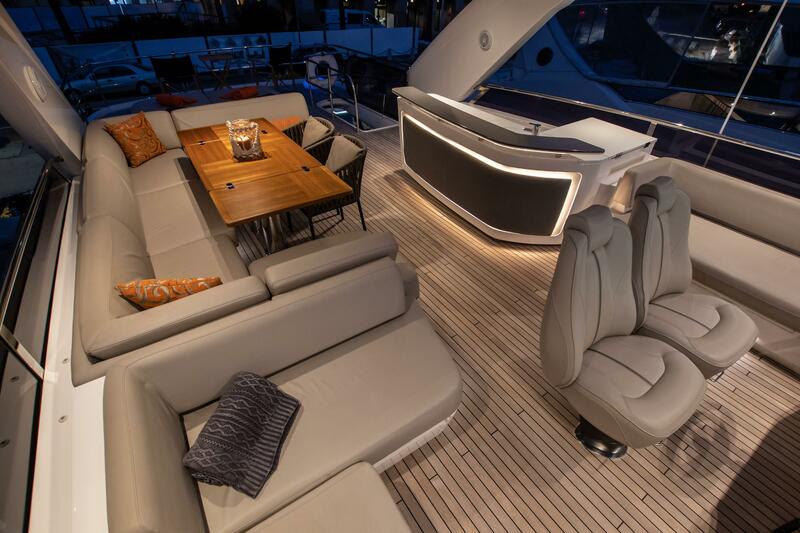 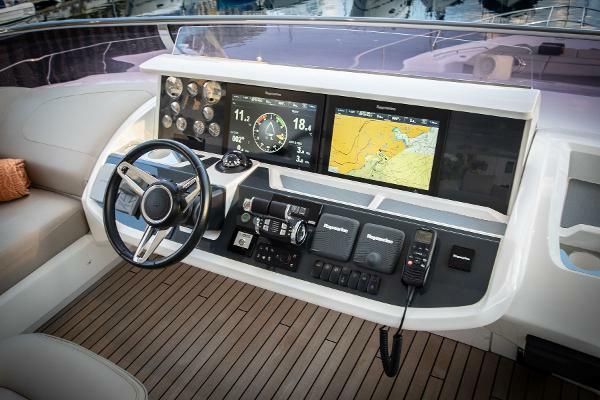 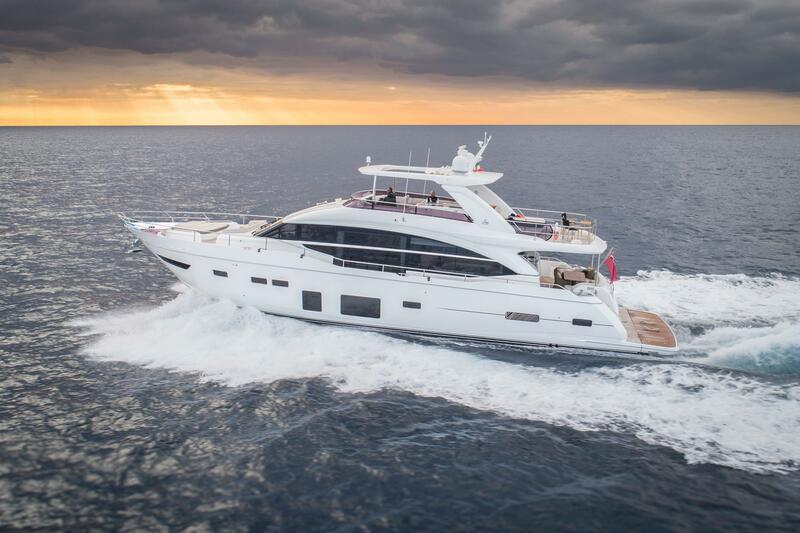 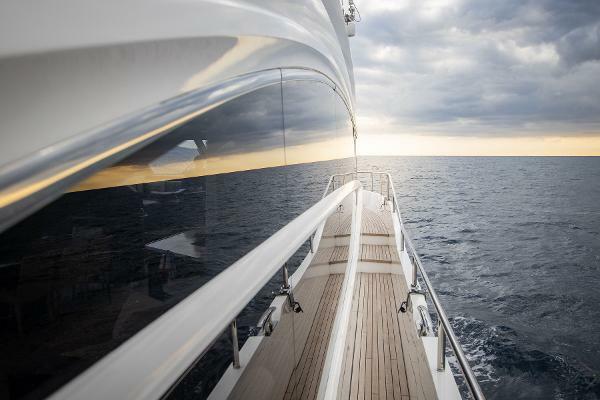 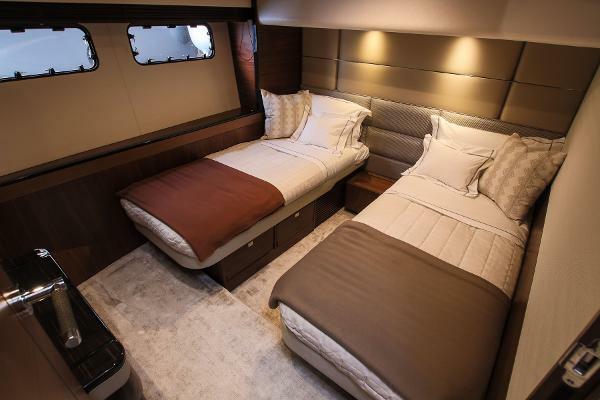 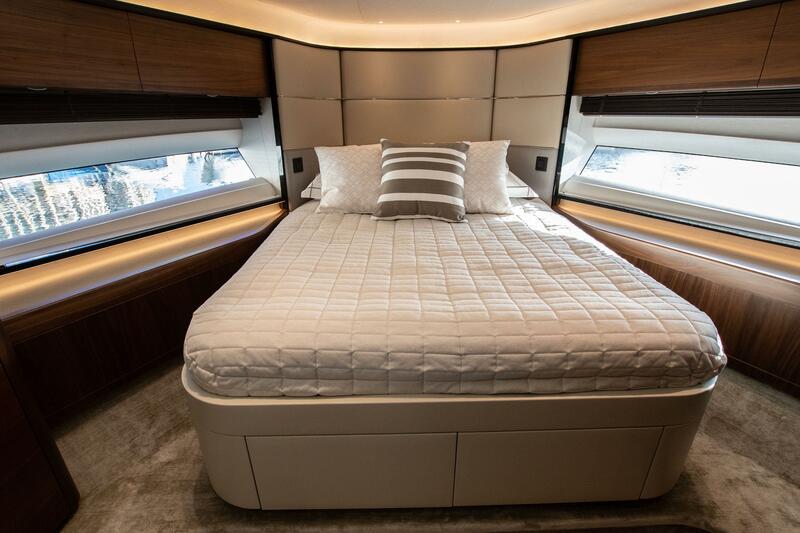 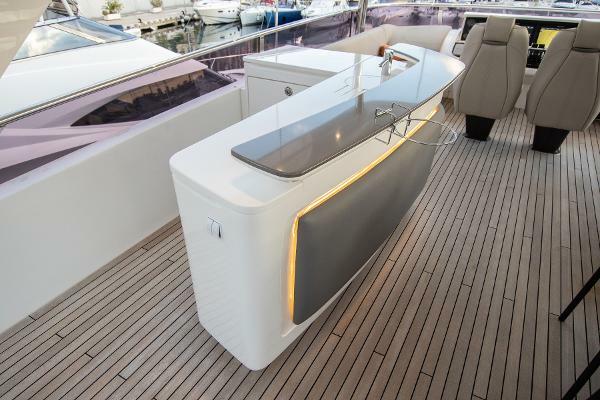 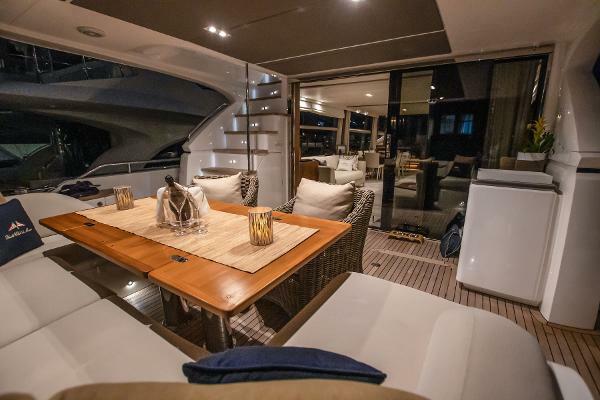 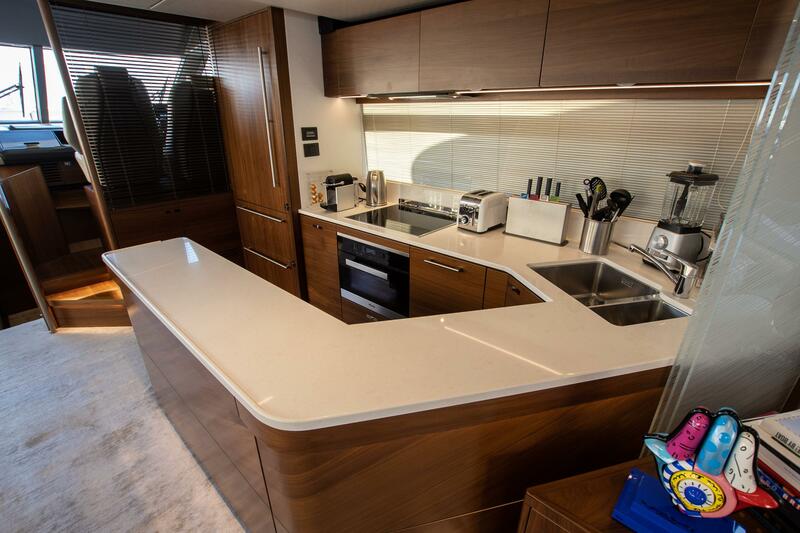 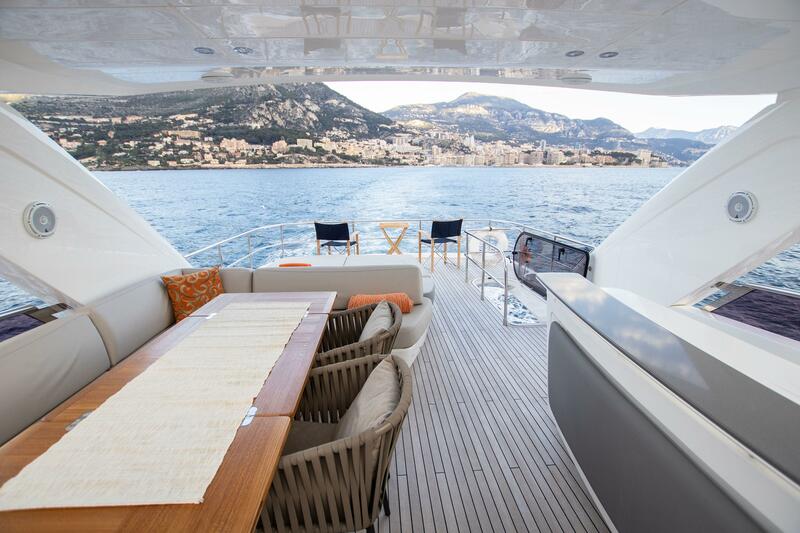 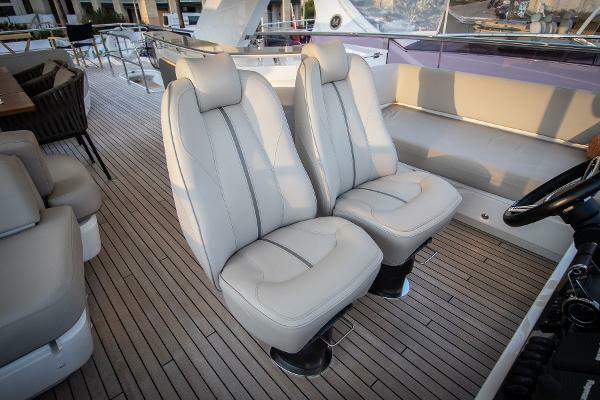 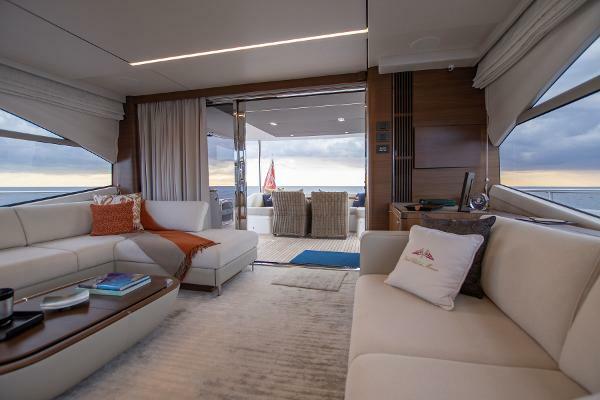 The experience and attention to detail of the owner is immediately evident throughout the yacht not only in the condition but also the specification. 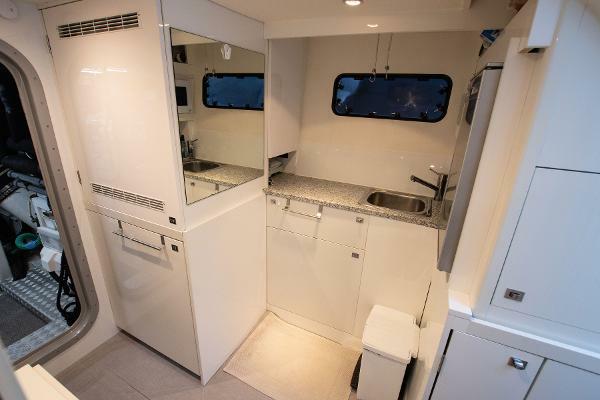 Significant modifications such as the addition of the crew mess and Humphree Interceptor trim control are complimented by extremely well considered smaller additions such as tool box storage to the engine space, upgraded strainer casings and the fitting of a very impressive yacht monitoring system, to name but a few.